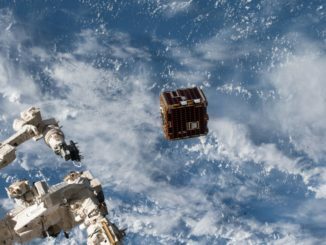 A small satellite assembled in Britain has been released from the International Space Station, commencing a standalone mission to test technology and techniques that could be used to capture and de-orbit space junk in low Earth orbit. 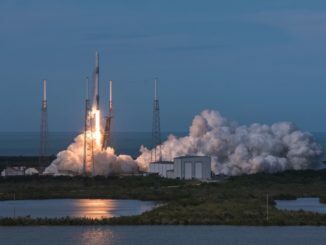 Hauling nearly three tons of supplies, hardware and experiments, a SpaceX Falcon 9 rocket shot into orbit Monday from Cape Canaveral, with a previously-flown Dragon cargo carrier riding a reused first stage booster to kick off a nearly two-day journey to the International Space Station. 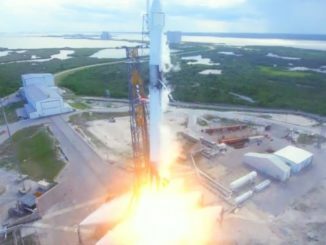 Watch views of the Falcon 9 rocket’s fiery liftoff Monday at Cape Canaveral from multiple angles as the slender, kerosene-fueled launcher climbed into space on the way to the International Space Station. 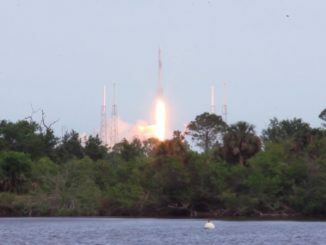 Packed with food, hardware and experiments in biology, Earth science and space technology, a Falcon 9 rocket and Dragon supply ship lifted off Monday from Cape Canaveral destined for the International Space Station. 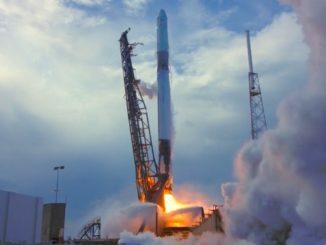 A SpaceX Falcon 9 rocket soared into orbit Monday from Cape Canaveral with nearly three tons of hardware and supplies for the International Space Station. 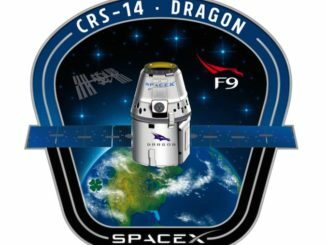 SpaceX’s Falcon 9 rocket will go from Cape Canaveral to low Earth orbit in 10 minutes Monday with a Dragon capsule heading for the International Space Station carrying more than 5,800 pounds of supplies and experiments. 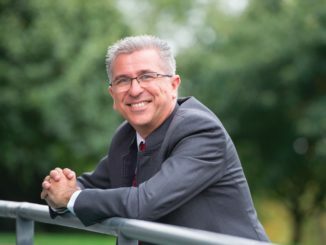 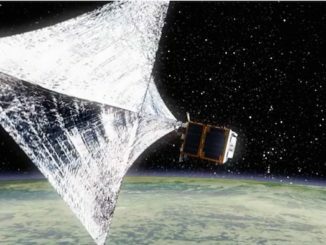 Guglielmo Aglietti is the director of the Surrey Space Center in Britain, and he leads a team of scientists and engineers who developed an experiment named RemoveDebris to demonstrate techniques to approach, capture and remove space junk from orbit. 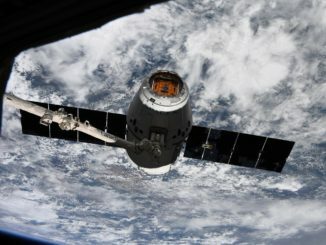 A day-and-a-half after lifting off from Cape Canaveral, a SpaceX Dragon supply ship arrived at the International Space Station on Wednesday with more than 5,800 pounds of experiments, provisions and other hardware to support the orbiting lab’s six-person crew. 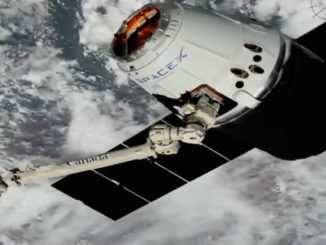 The cargo capsule was captured by the station’s robotic arm at 6:40 a.m. EDT (1040 GMT).